Ruqyah Chariya, Healing from Sorcery and Evil eye. 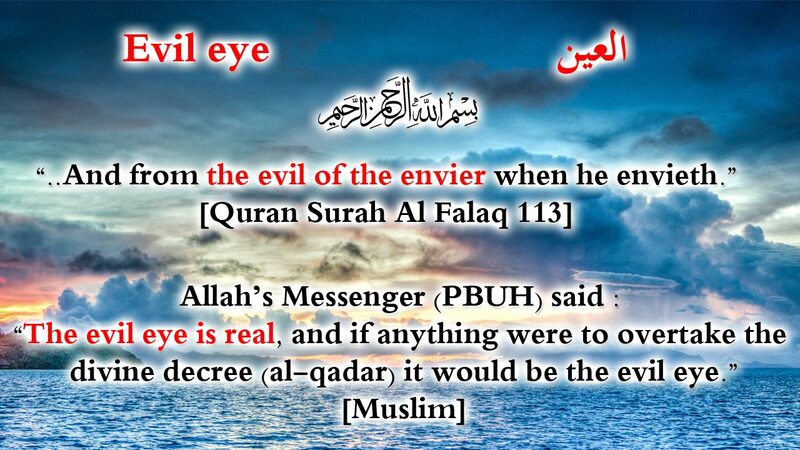 Many people suffer from sorcery or evil eye without knowing. These occult problems can be very destructive for there life. Ruqyah shariah is a reading of Coran and Doua that helps people to be cured from these problems. Blocage in life (Work, Money, wedding, Business, Projects…). Health problems (unknown problem, different medical dignosis…). 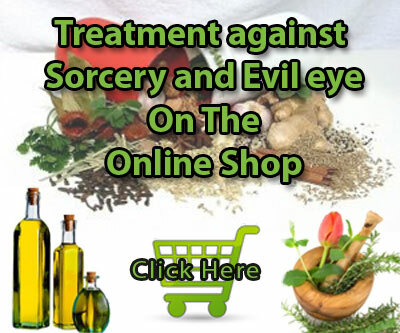 Our site allows you to diagnose and treat with ruqyah shariah all problems related to the sorcery and evil eye. We have more that ten years of experience. With time and research, we develop new diagnostic techniques and more efficient treatments. Awf ibn Malik reported: “We practiced incantation in the pre-lslamic days so we asked the Messenger of Allah, ‘What is your opinion about it?’ He said: ‘Let me see your incantations. Prophet Mohamed S.A.W. has been reached from a spell, after many prayers, God sent him two angels to inform him that he has been bewitched and the witchcraft was on a well. Our prophet S.A.W. has subsequently sent his companions to destroy the sorcery made with nodes. When the companions opened the nodes that were created for this withcraft, they recited surat el Falk and surat al Ness and the witchcraft was destroyed. Ruqyah in islam is the reading of coran and prayers to a patient. It allows us to reveal the existence of witchcraft, to destroy the sorcery and to convert or burn Djinns. Generally with the reading of coran and for more efficiency, the person who suffers from an occult problem, must take treatments based on herbs and honey, make Hijama (cupping therapy) and of course a lot of prayers (Doua). To destroy a witchcraft, apart from the prayers (Doua) we must do the right causes, like on the example of our Prophet Mohamed S.A.W., he sent the companions to destroy the Witchcraft (if only the prayers (Douaa) were sufficient, his witchcraft would have been destroyed, but God sent him the angels to Inform him about the place where the sorcery was. Based on this information, our Prophet Mohamed S.A.W. sent his companions to destroy it. This point is very important, several symbolic methods allow us to destroy a witchcraft (see below inchallah). Many people complain about the fact that they they do the prayers and protections, but that they do not understand how they continue to be sick…the prophet Salla Allah Alyhi wasalem was bewitched, he was the best of us in his faith, religion and prayers, the protections may not prevent an evil eye or sorcery if God has already written that it will happen to us or when it already happens… (imagine you have a field with waste into the interior, is the made to build a wall all around will pull out waste?). Several people who are suffering from witchcraft do not understand why they do not heal…, Most of the time, they visited several raqis but the problem still there, Various causes are possible: incompetence from the raqi, witchcraft programmed to be repeated (according to the number of nodes that it was made off), the Dinns who inform the Sorcerer when a witchcraft has been destroyed (the Sorcerer is renewing the witchcraft), negligence on the part of the person reached (Many times the treatments must be extended because the person would have been bewitched more than once…). Ruqyah is a scalable science (like the modern medicine). A lot of people complain about the lack of results when the treatment is based solely on Ruqyah. We found that those who make sorcery evolved with different techniques and processes of witchcraft to reach their goal. On the other hand, many raqis (not all of course) just read Coran to heal their patients (sometimes a person is sick because of his sins, the repentance and the Sadaka can cure him). Treating a person who suffers from witchcraft (blocking in life, strange diseases, demon possession ect…) demands an investment in time and a series of processes (listening to Coran, treatments with plants, incense, Hijama, Douaa, Tawba, Sadaka, washing with Coran water, the symbolic methods to destroy sorcery etc…). We also develop new methods (without associationism) that allow us and the patient to have information about his sorcery (number of sorcery, type of sorcery, where they putted the spell (well, sea, eaten sorcery, into a doll)…). This method is named “Djinns catching”. Ruqyah must always be adapted case by case. It mainly depends on the occult problem (sometimes there are several sorcery). A person who suffers from an evil eye would have an adapted treatment for that. (Ruqyah Shariah with verses against evil eye, washing with cold water containing: Salt, Sidr and Alum stone…). A person who suffers from an eaten sorcery would have another treatment. Every treatment should be adapted to the type of sorcery. We help our patients through Skype to diagnose if they have sorcery or evil eye and we offer them the best treatment with Ruqyah to cure themselves. Depending on the occult problem; we offer them the best advice to follow a suitable program. In effect, treating a sorcery or an evil eye is not limited only to lisen to Ruqyah Chariya but also other causes like: douaa, charity or Sadaka, washing with coran water, coronised incense to apply on all the body, coran oils to apply like a body lotion before sleeping and especially symbolic methods with intention to destroy the Witchcraft…). We also offer a program to follow the improvements of our patient’s general condition which allows us to see the treatment’s impact on the occult problem and change it if there is no result. We can adapt or change the treatment depending on the response of the patient. Those who suffer from the evil eye may change the application of the coranised “Olive oil” by “Harmel oil” mixed with “Black seeds oil”. we can change surah al ruqyah (the quranic verses) to add specific verses like the verses of the graves, verses of the sea, verses of the mountains or the verses of the evil eye… all these changes allow the treatment to be more personalized and specific for a particular occult problem. Generally we invite Cases of possession in a special Ruqyah center for an intensive treatment. In fact, these special cases may not be able to make their treatments alone because they will be stopped by demons (in case of possession). The intensive ruqyah allows weakening of demons and witchcraft with the permission of God. How can i diagnose my self ? There is many methods to diagnose yourself, you can find more informations on the Dignostic section. Feel someone (watching you, following you, standing behind you, touching you). Nightmares and pursuit dreams (unknown person, Cats, Dogs, Snakes, Beef, cemetry, dead persons, Fire, flying dreams, falling dreams…). Feel of blocking in life (Wedding, Money, Bad luck, Study, Society, Projects…). Paranormal events (shadow, items mouving, stange sounds, someone touching you…). Health problems (abortion, skin problems, painwithout reason, madness, sadness, depression…). All these symptoms can be related to an occult problem and need more investigation to confirm it. Most of time an advanced diagnostic based on ruqyah chariya and the experience and advices of a raki is desirable. First of all and before each treatment, we must make a just and complete diagnosis. It is not rare that a person is the victim of more than one occult problem (witchcraft and evil eye on the same time). A complete diagnosis can be done by testing out with different Coranic verses to what type of sorcery a person does react to in order to know exactly what the patient have before starting the treatment. It is then necessary that the treatment is personalized according to the case, the treatment of the evil eye is totally different in comparison to the treatment of the sorcery. Even with sorcery treatment, it varies according to the type of sorcery. A patient can follow two different treatments on the same time. For example, if he suffers from evil eye and an eaten sorcery. The treatment of evil eye is to put his legs into cold water mixed with Salt, Alum stone and Sidr with listening to the ruqyah against the evil eye. 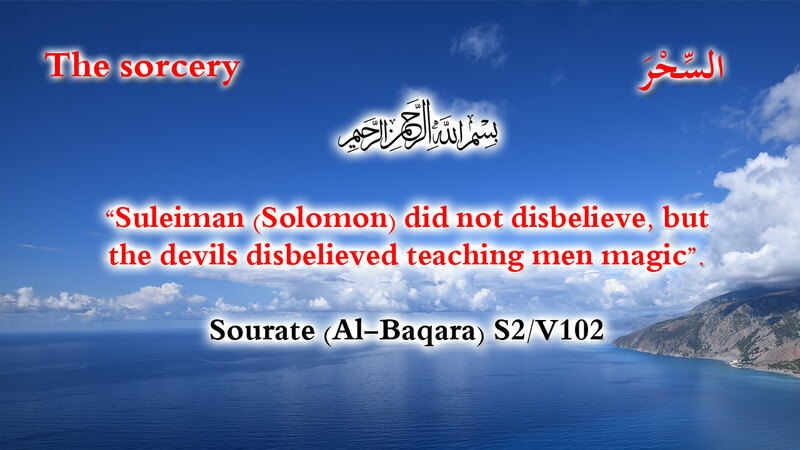 With listening to the ruqyah against eaten sorcery. The patient can do the treatment of the eaten sorcery on the morning and the treatment of the evil eye on the night. These are two different treatments for each occult problem. When the patient completes his treatment we check the impact of the treatment on his sorcery or evil eye. New sorcery done (the sorcerers who spy their victims, the sorcerers jinns who are renewing themselves the sorcery…). The destruction of sorcery is not complete. On this cases we need to extend the treatment (sometimes we can change the treatment completely). Through our experience we have discovered the existence of some composed sorcery. This type of sorcery is done by sorcerers-engineer who have more advanced knowledge than other sorcerers. They always try to improve the spells and they create complicated sorcery which is hard to destroy. These types of witchcraft require more advanced treatment. How to protect my self after healing? It is important to protect ourselves during and after the treatment with ruqyah and Adhkar. After healing, it’s always possible to suffer again from a new spell. Usually those who are fighting you with sorcery will not stop easily. Protect yourself doubly with adhkaar (Coranic verses of protection). You must also change your habits and ways of behaving every day. The events of death or marriage: avoid eating food from an unknown source (we had several cases of witchcraft or evil eye caused by such events). Your traces : the people who want to reach you with sorcery need your tracks (pictures, clothing, hair…), avoid putting your photos on Facebook or Skype, made attention about your clothes. Do not forget to make ruqyah shariah for each family members to verify the presence or not of an occult problem. You can do it for protection too because it’s based on Doua.